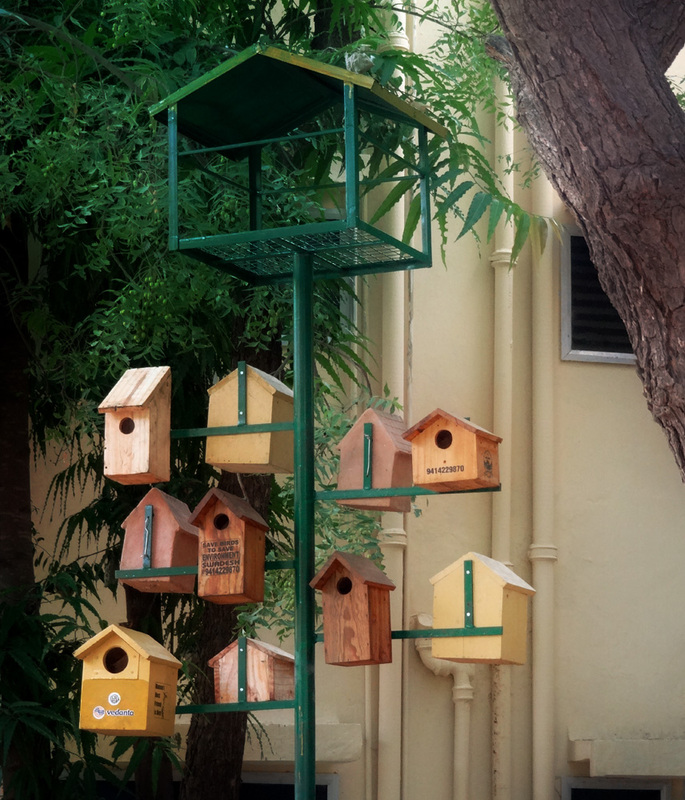 We are committed to provide safe working conditions and have effective management systems in place to ensure the well-being of all our employees. 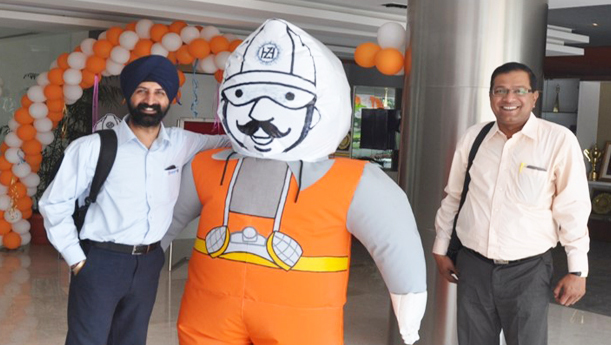 For transforming and enhancing the safety culture that exists at Hindustan Zinc, we initiated a new programme – ‘Aarohan’ with an external consultant DuPont. Aarohan implies step- up or step change. The Aarohan programme took off by identifying five prioritized work streams to bring about safety cultural transformation by involving the line managers and shop floor workers, the prioritized work streams were executed under the active guidance of the five subcommittees. Underground operations are always considered to be more risk prone. We always endeavour to support the occupational health and safety of our employees working underground. 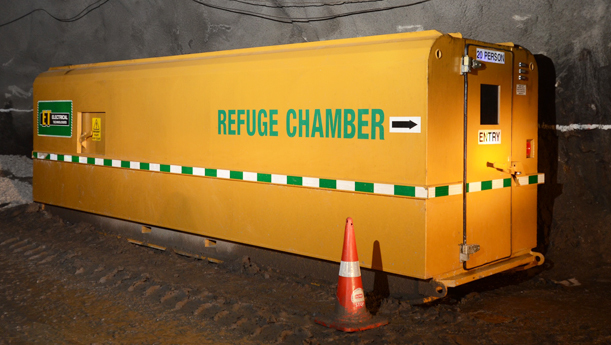 As a safety initiative for underground mines, HZL installed a Refuge chamber which provides a place of safe refuge (protection) and fresh air, in case of emergency situations like fire, rock fall and blockage of escape routes etc. Refuge chamber can accommodate upto 20 persons and has a life support back up of 36 hours. Proper training is provided to all operators for its effective use in case of emergency. 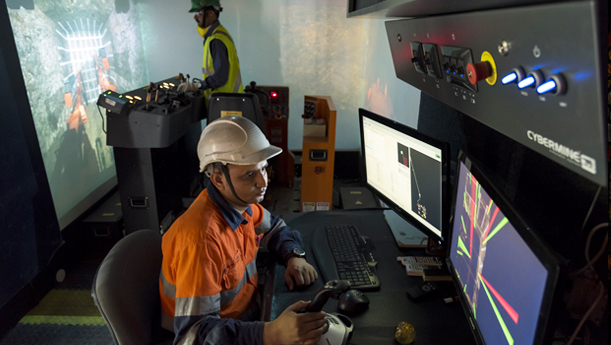 To make mining safer and productive Simulators has been installed at RA UG Mine & at SKM for operation of equipments i.e. LPDT, LHD & Jumbo Drills. Training through Simulators help our operators to maintain the skills and competencies they need to effectively manage the equipment while using mobile equipments. The simulated environment allows us to test operators on specific equipment without using actual mobile equipment or exposing our people to unnecessary hazards. We measure each operator’s reaction time against specific performance criteria, allowing us to assess training and development needs. The training programme begins with a pre-assessment of hand-eye co-ordination to determine each potential candidate’s capabilities. Once successful candidates have demonstrated the appropriate theoretical knowledge, they are trained on a simulator for the specific equipment that they will be using and be licensed for. Next, candidates begin practice on actual equipment on-site, under the guidance of an experienced operator. Once they have had a successful assessment, they are licensed to operate the equipment. 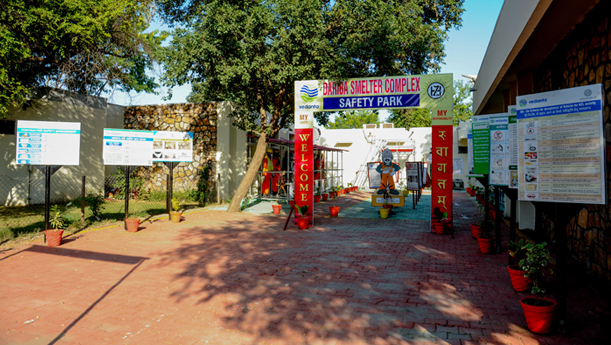 This is an artistic piece of work that displays the safety provisions at Hindustan Zinc This unique gallery showcases a miniature layout of the plant, including hazardous storage area, mannequins with PPEs, and safety instructions displayed throughout the plant. The exhibit also includes an elaborate display of various job specific and mandatory PPEs, working model on LOTO implementation, display of requirements of confined space entry, working at height and LOTO standards. We believe this beautiful depiction of Safety at Hindustan Zinc will spread the thought of safety and remind employees to adopt safe work practices.. 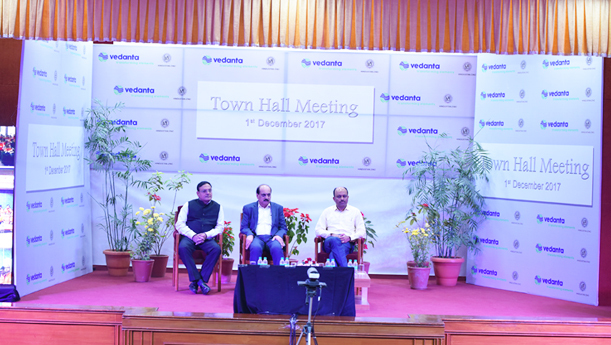 In order to reinforce our safety culture and help everyone understand why safety is paramount, the senior management of Hindustan Zinc engage with the workforce in the Safety Town Hall. The Safety Town Hall has been instituted to strengthen our safety culture. Meetings are organized regularly in all operation units where the senior management of Hindustan Zinc addresses these employees. Employees from all our locations including contractual employees attend this meeting where an interactive session is undertaken by the management. The emphasis is on site and off site safety where the employees are made aware of how critical safety is for each individual and the company as a whole. These sessions give employees a platform to ask questions, get their queries addressed and also provide suggestions for improving the safety of our operations.